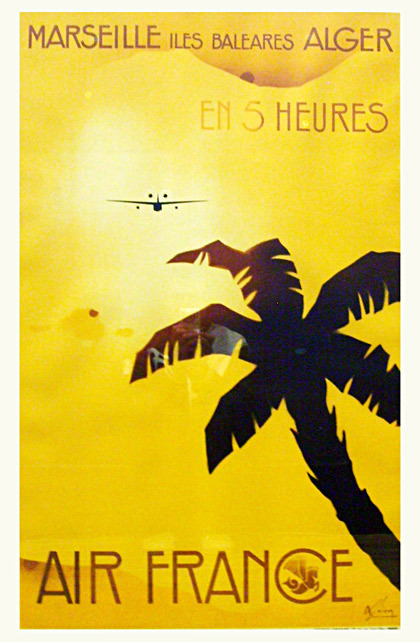 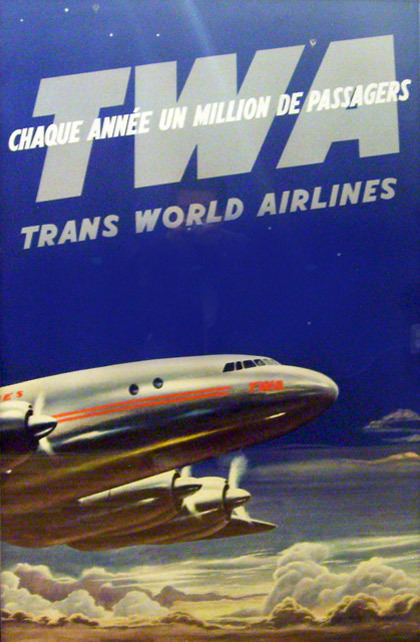 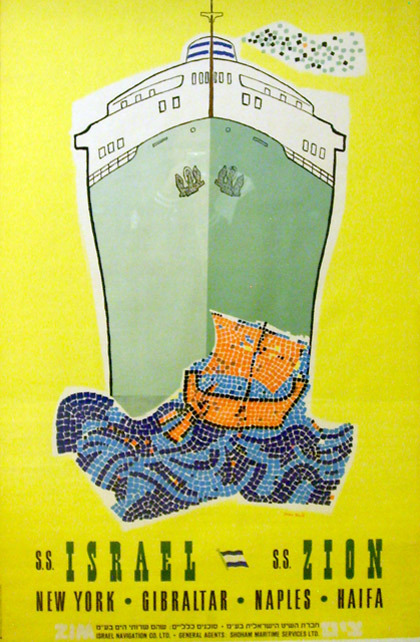 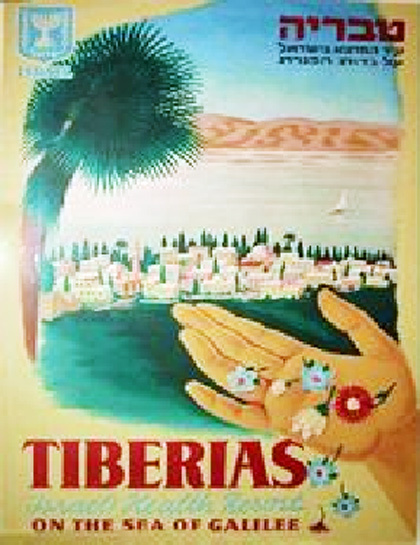 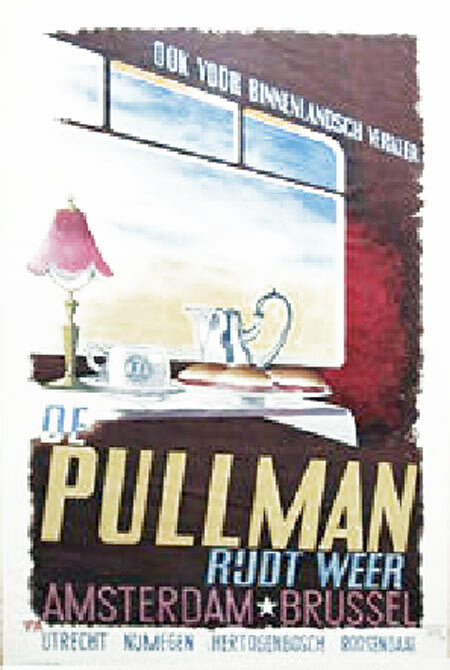 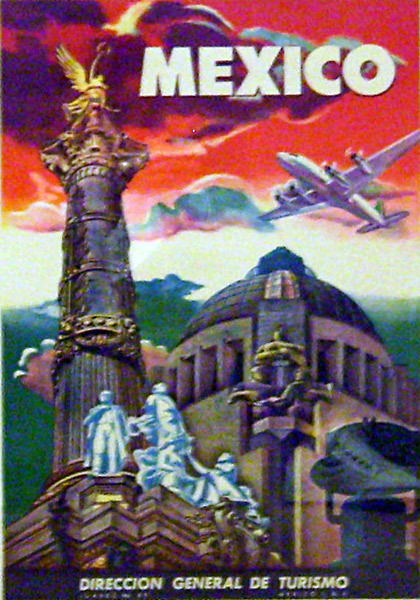 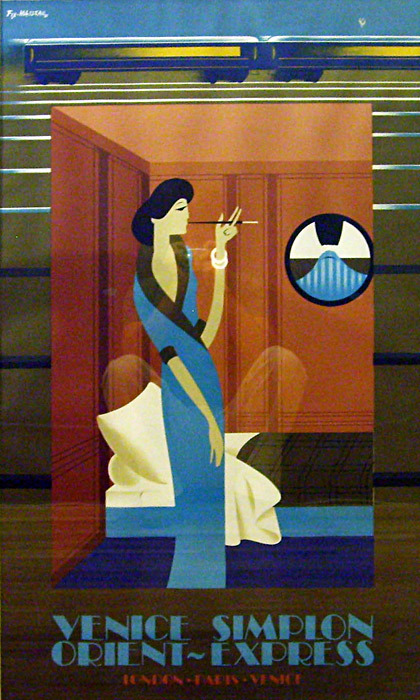 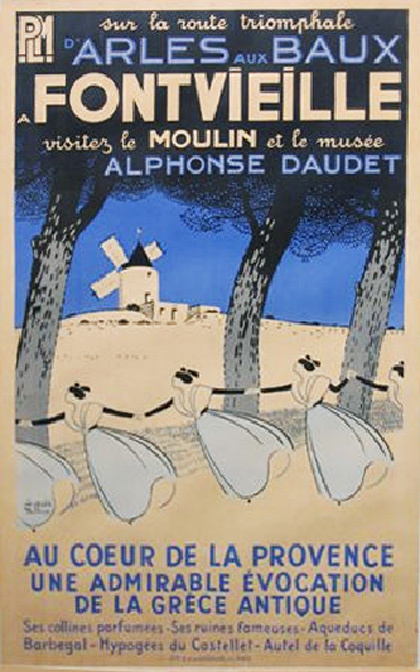 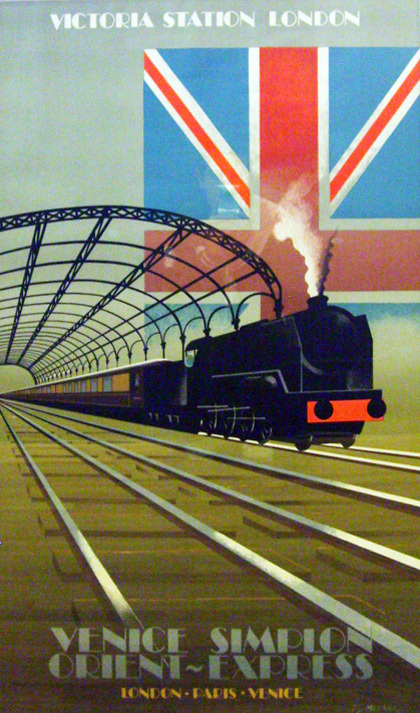 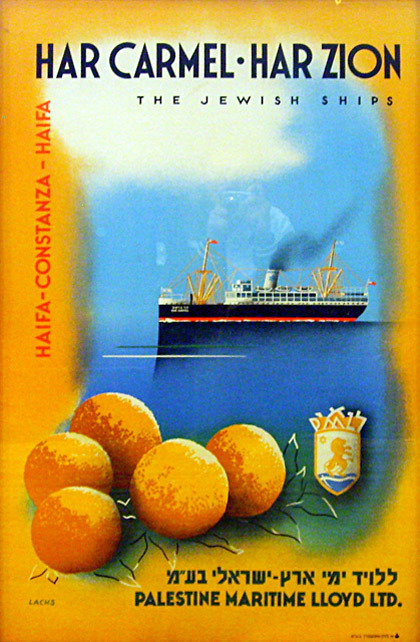 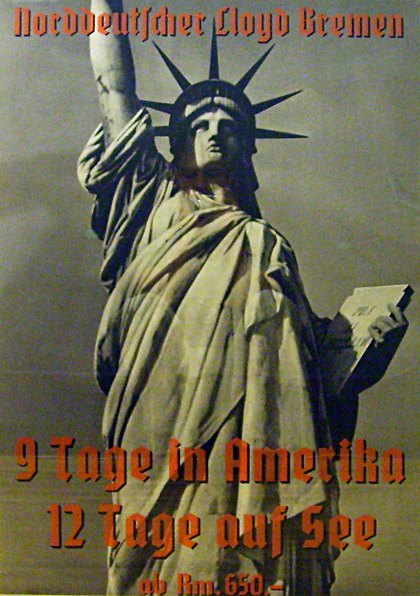 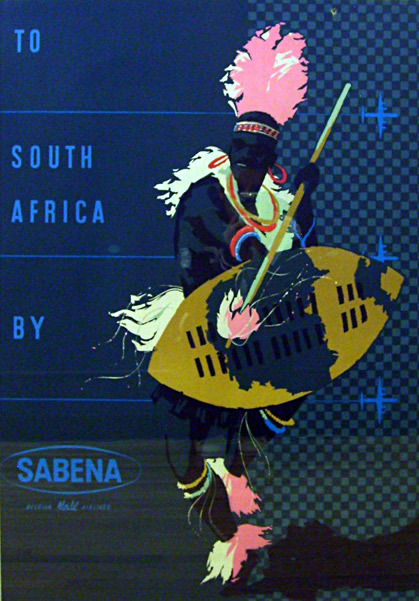 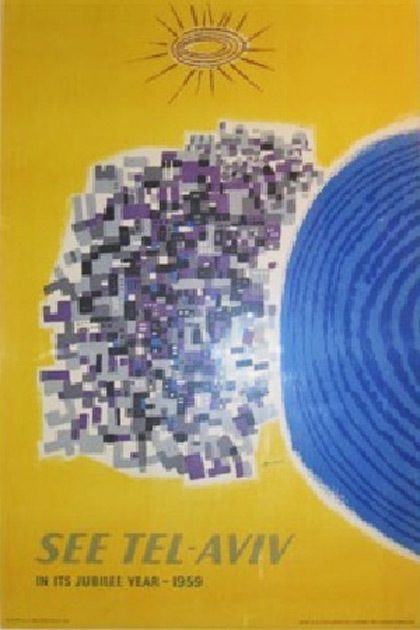 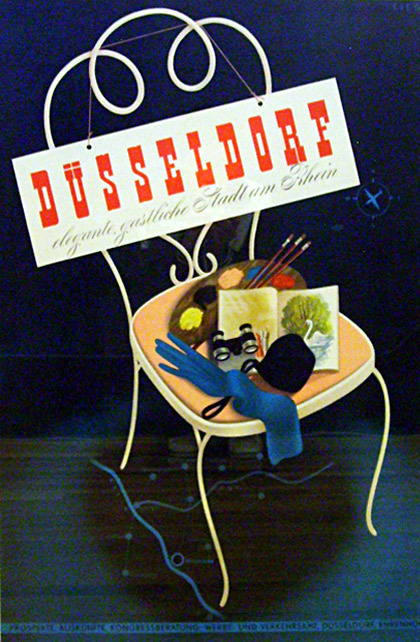 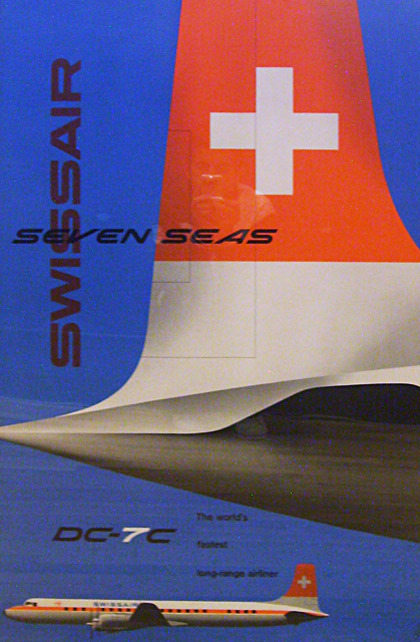 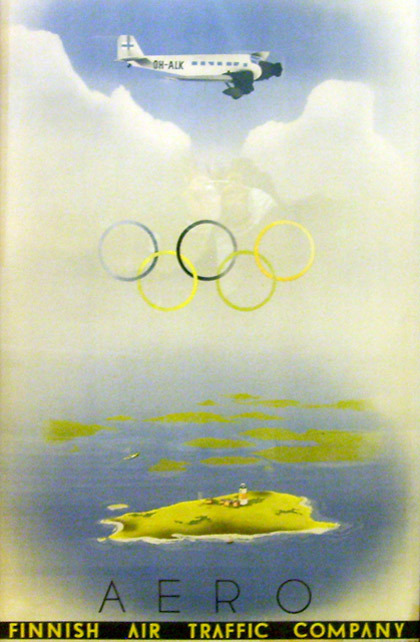 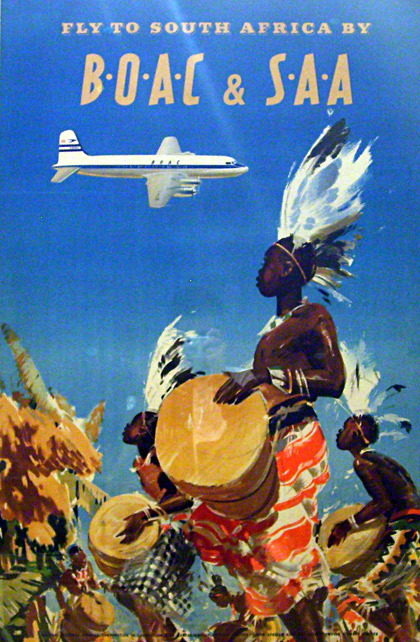 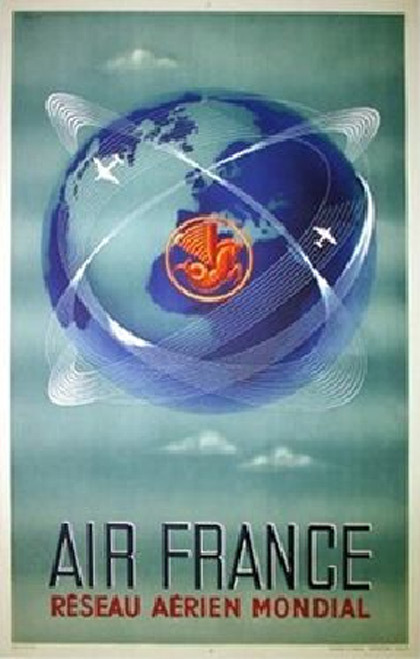 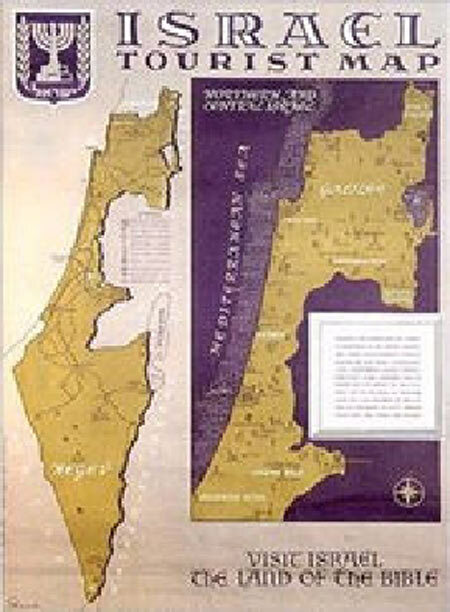 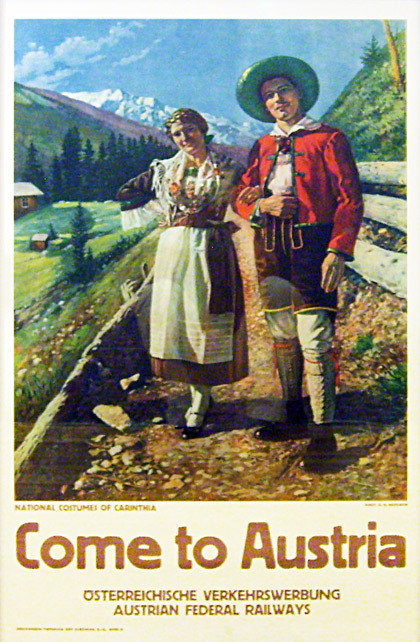 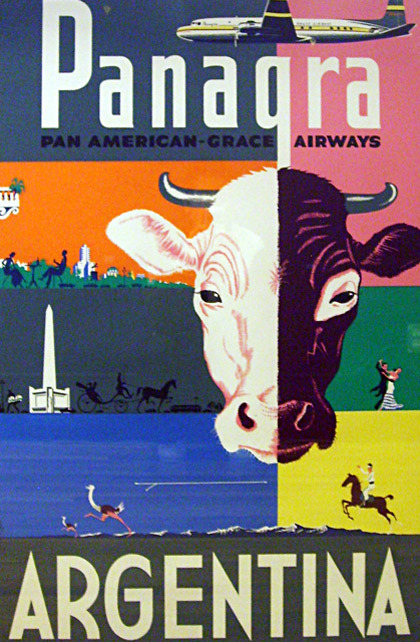 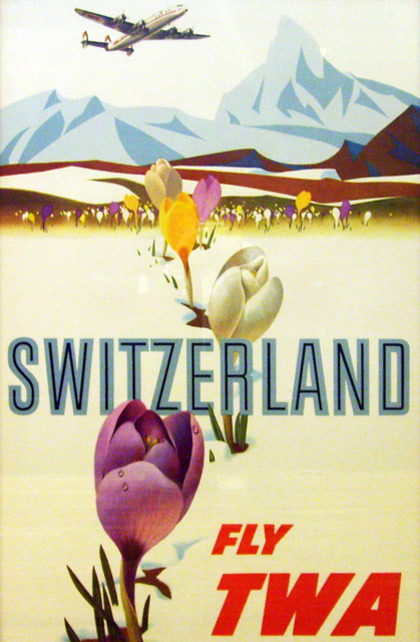 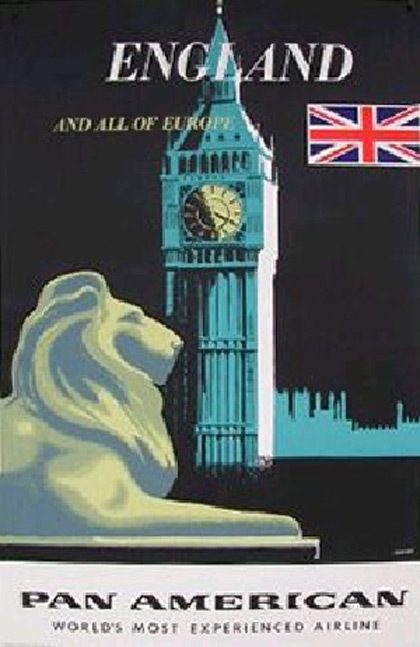 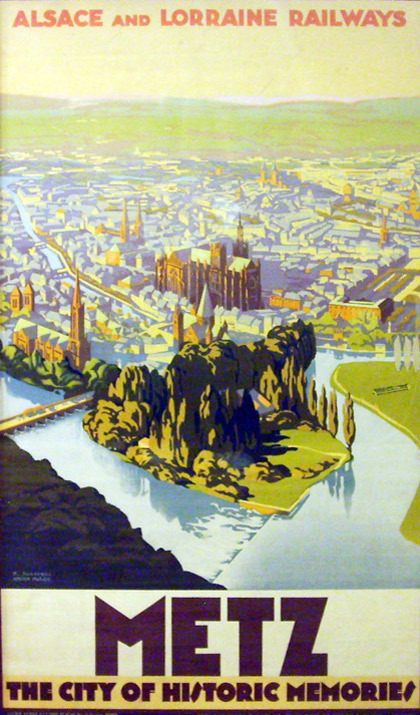 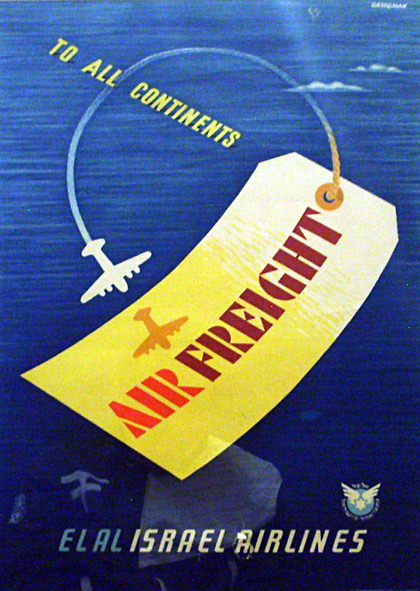 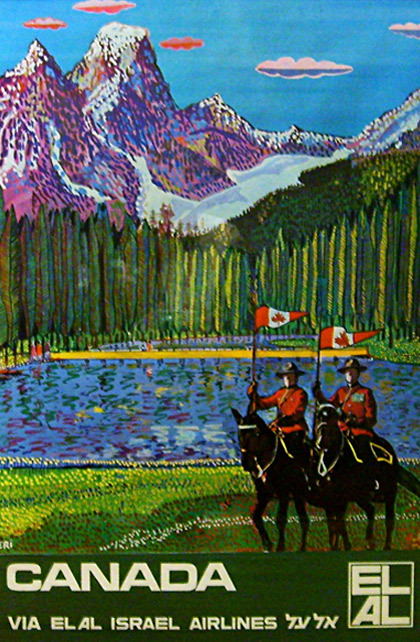 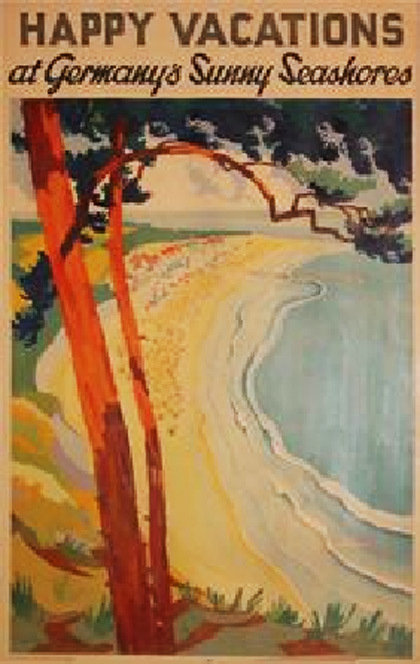 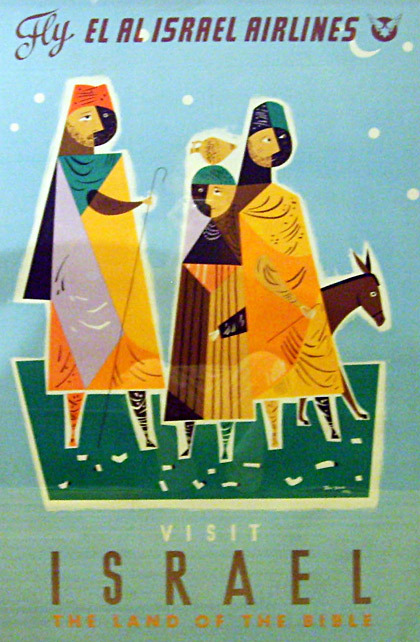 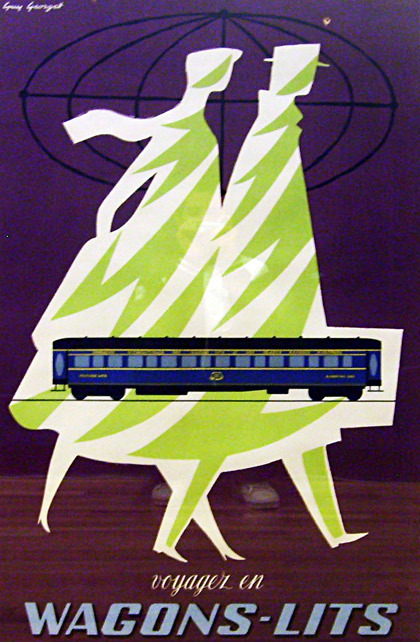 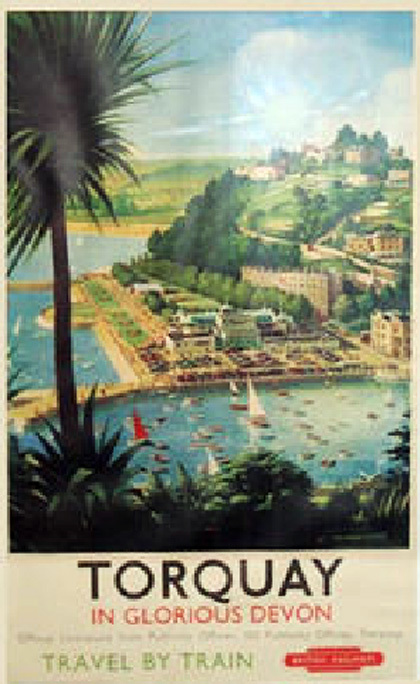 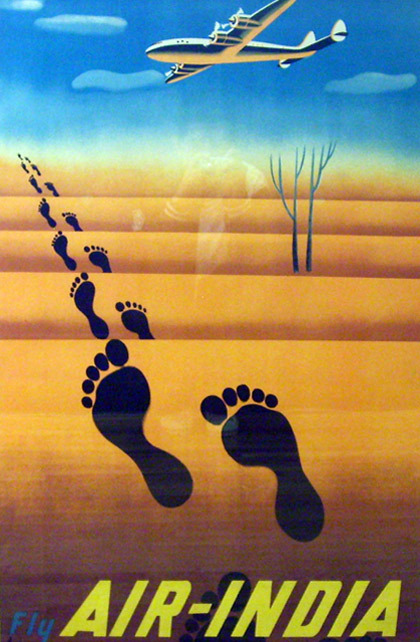 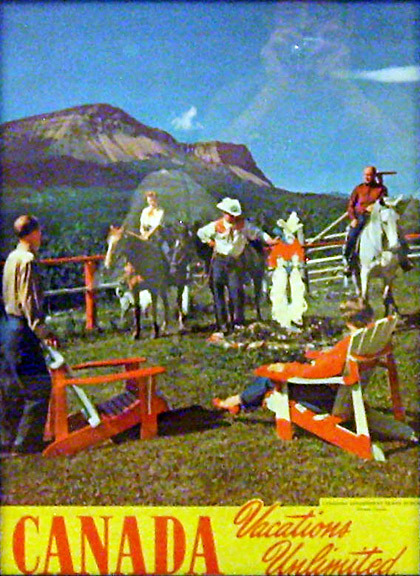 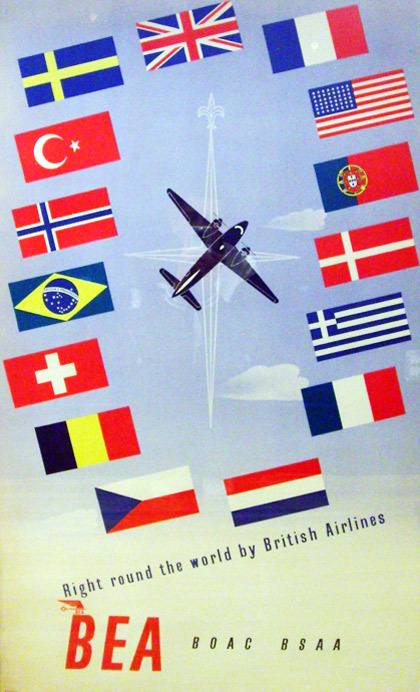 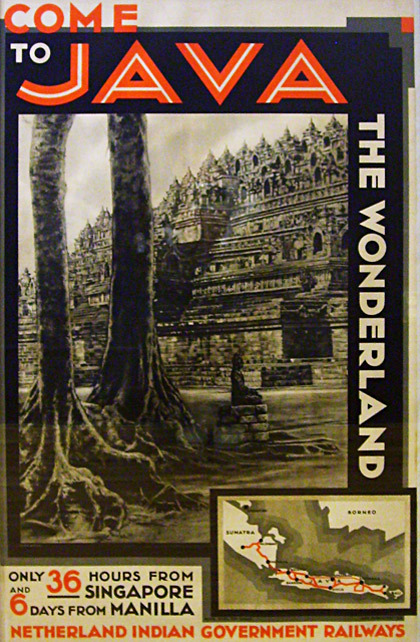 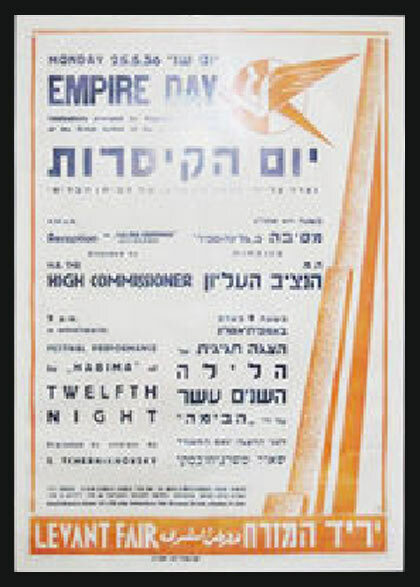 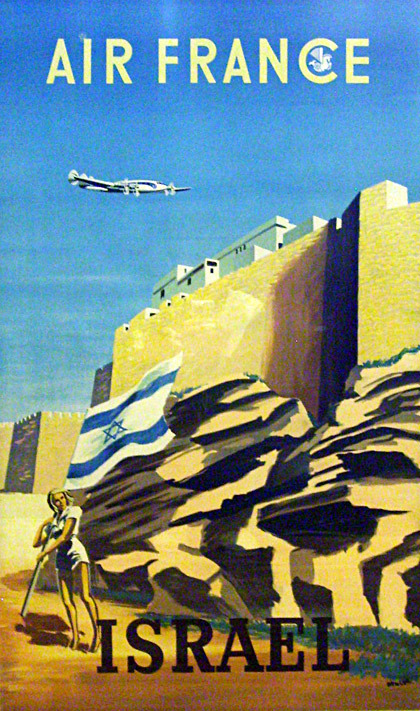 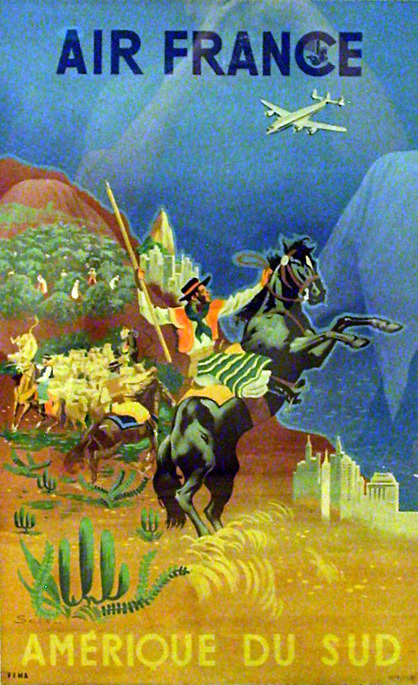 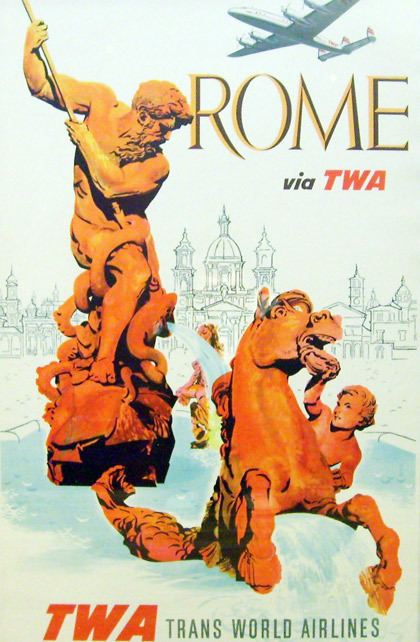 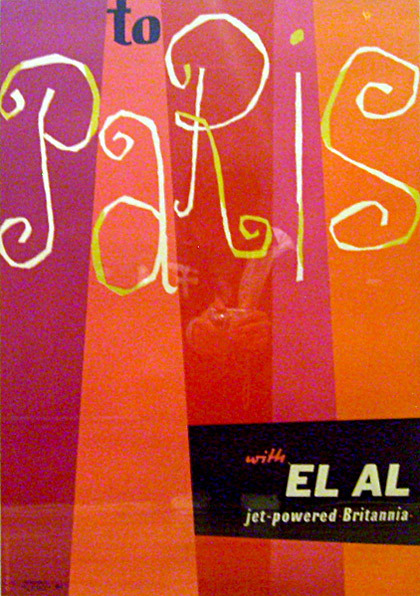 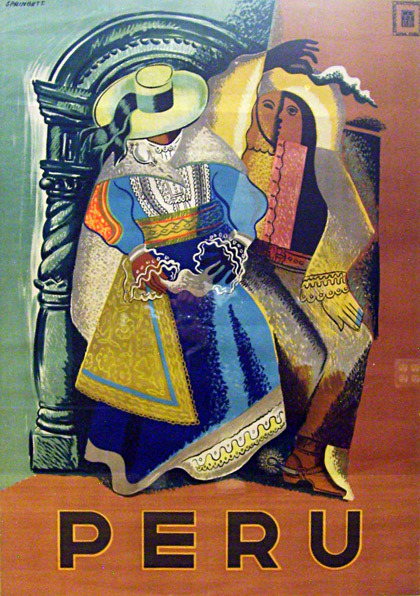 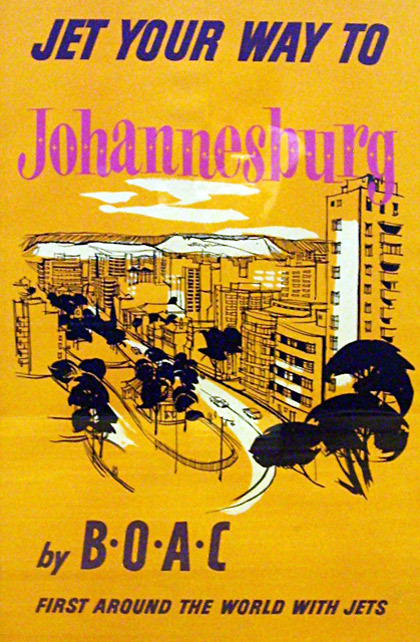 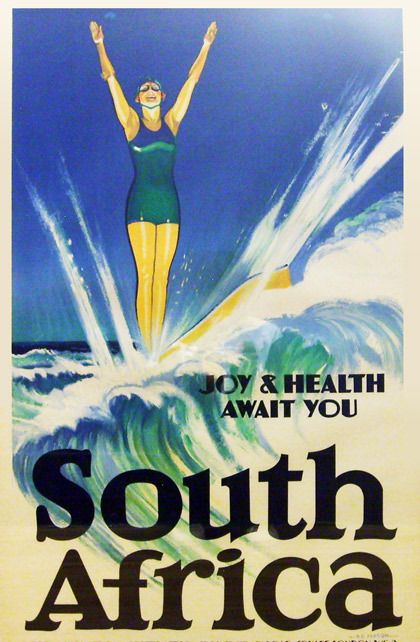 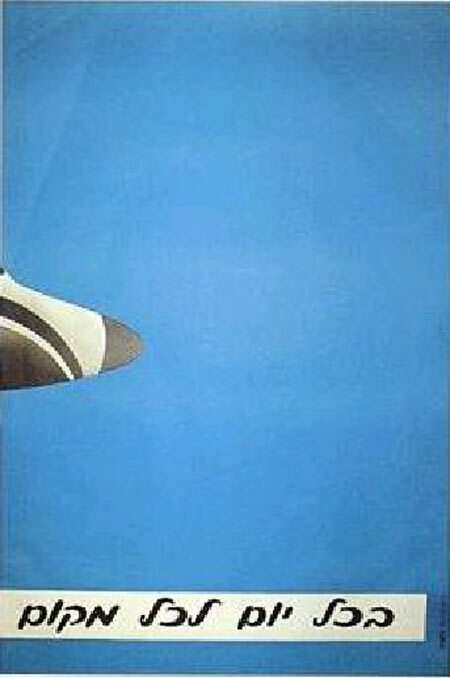 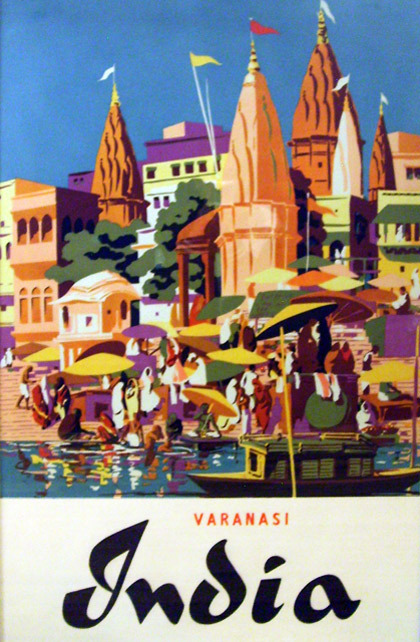 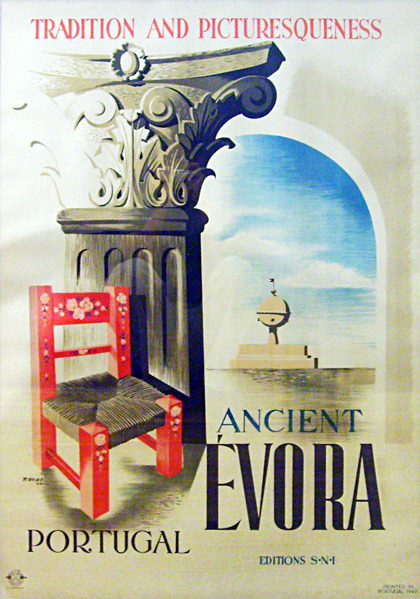 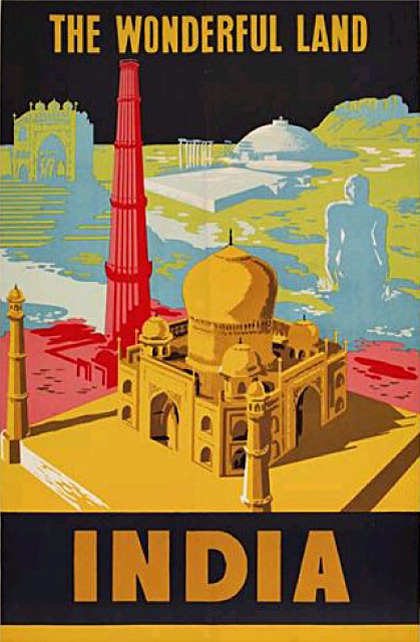 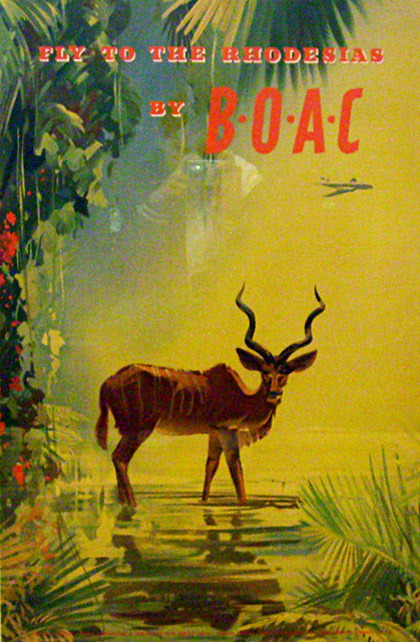 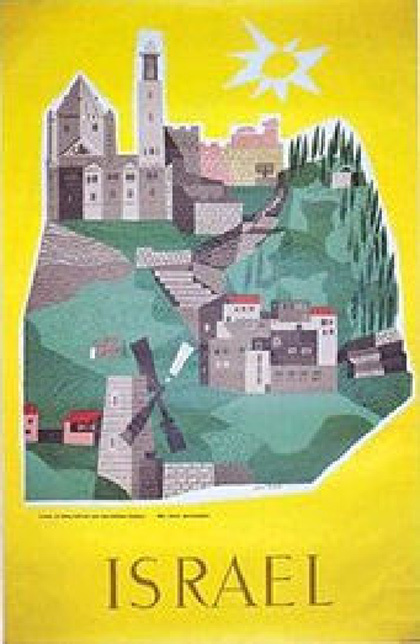 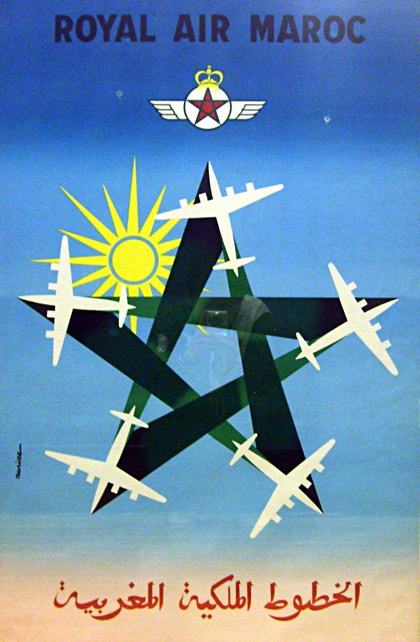 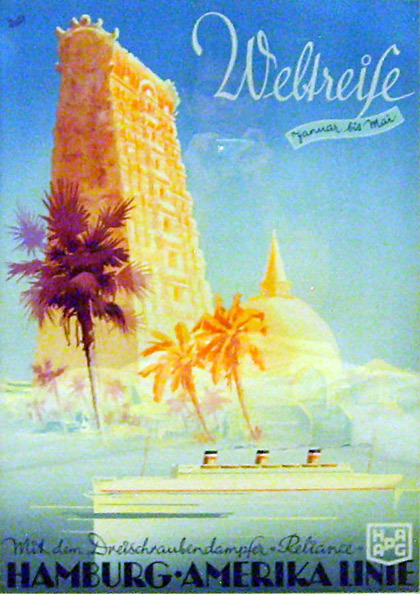 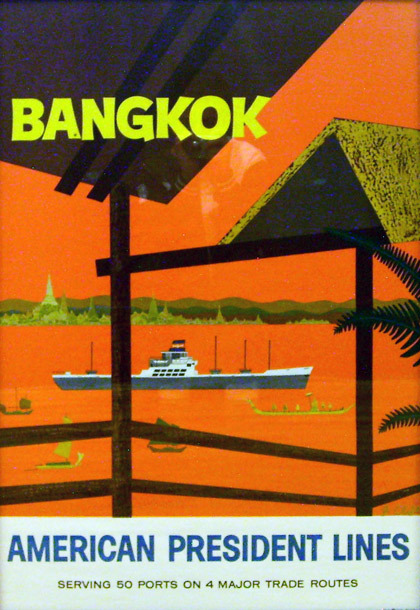 I began collecting travel posters in the 1970's. 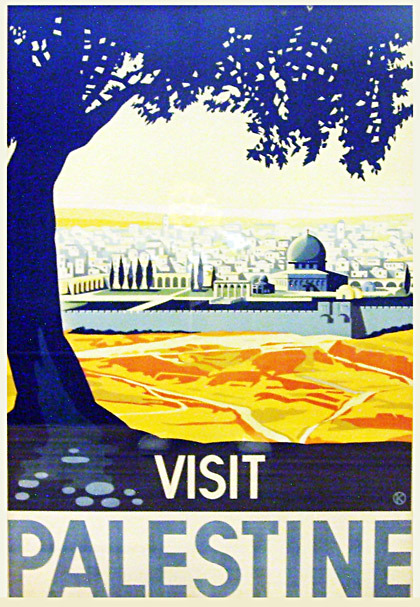 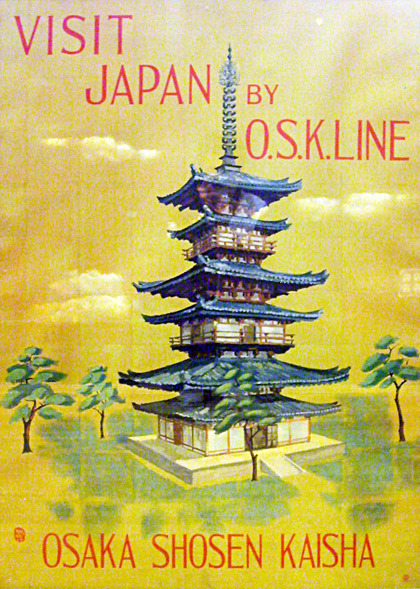 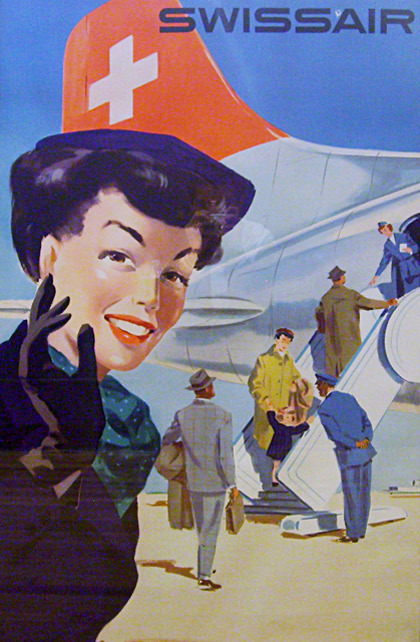 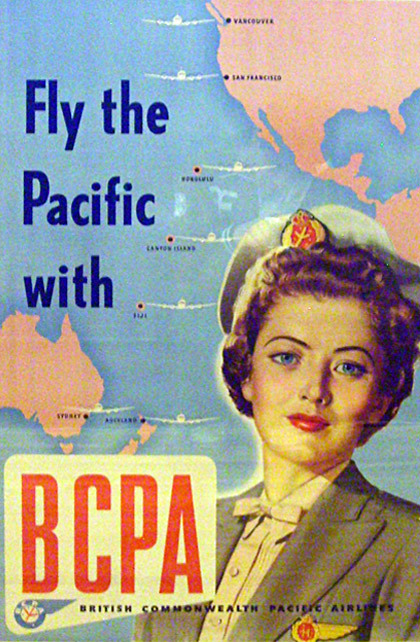 But my love affair with the graphics of travel began much earlier. 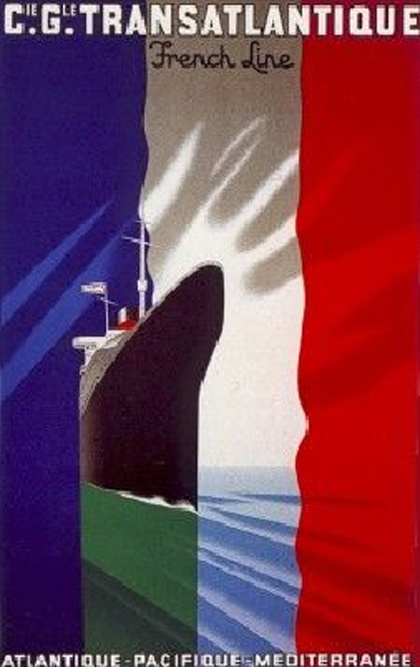 When I was six, my family and I vacationed in France.For the trip, I was given a small brown cardboardsuitcase to hold my favorite toy cars and crayons. 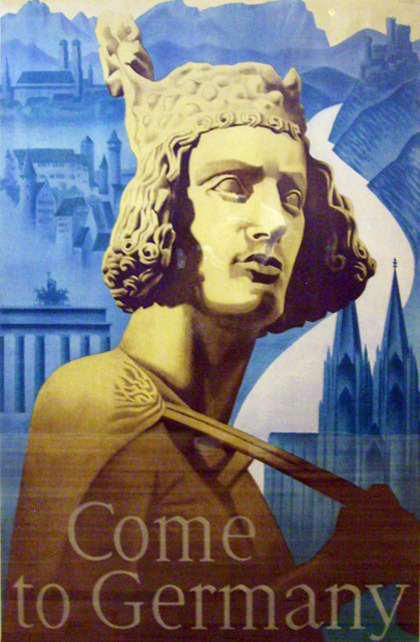 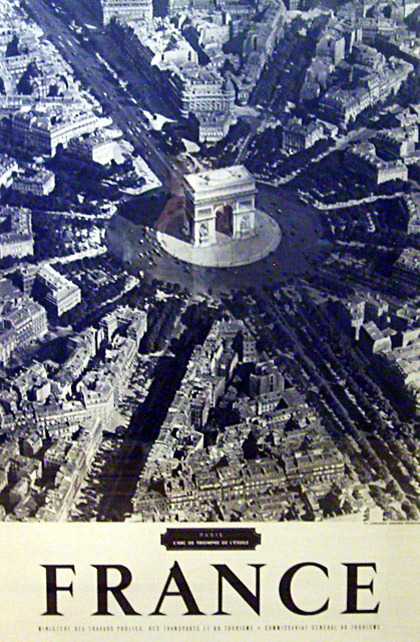 One morning in a hotel lobby in Reims, the concierge walked solemnly over to me and dropped into a crouch. 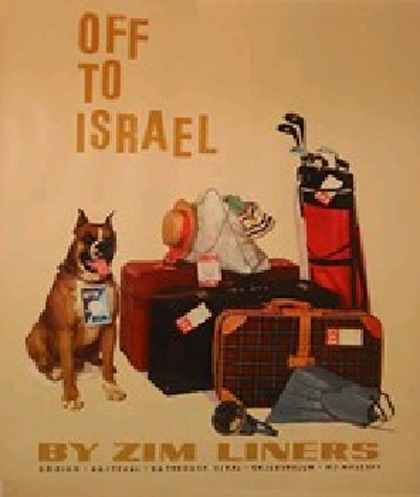 From behind his back he produced a luggage label to which a giant tongue gave a giant lick, and then he pasted the label, askew of course, onto the side of my little brown suitcase. 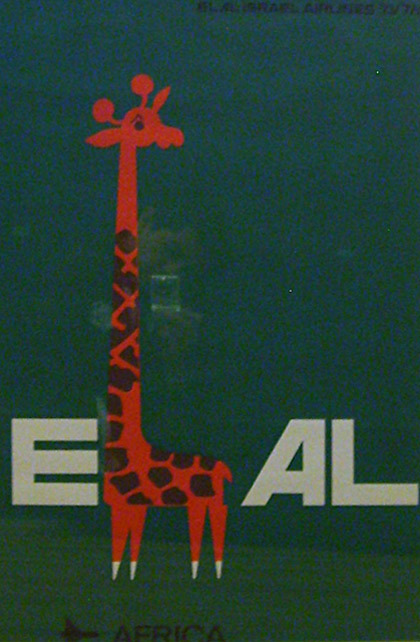 The label seemed to have enormous portent. 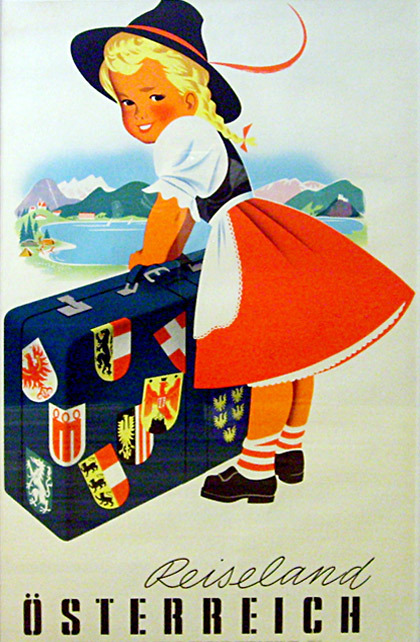 My little brown cardboard suitcase was no longer a mere receptacle for toys: it had been deemed "luggage." 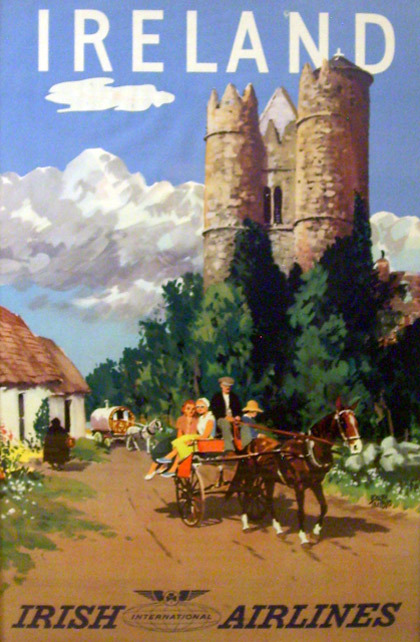 And I was no longer a small boy toting cars and crayons. 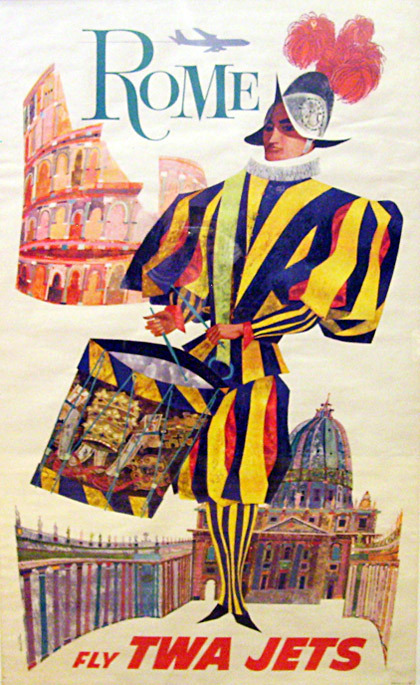 I was a "traveler."